A large number of members rolled up to the first Over 60s meeting for the year, held at the Surf Club. Over coffee and scones we had our usual natter and exchange of news and everyone’s doings. Suggestions for future outings were put forward and planning set in motion. On a scorching hot February day our group visited Kin Kin, a town renowned for its great food and scenery. The drive through the windy green hillside, passed homesteads and cattle resting under trees didn’t disappoint. The name Kin Kin is most widely believed to mean plenty black ants very common in the area. After lunch at the Black Ant Café, the heat, unfortunately, didn’t encourage us to explore the township and appreciate its history, but nevertheless everyone enjoyed the outing and the fellowship. Also last month, members attended a concert at the Brolga Theatre in Maryborough to relive the songs of Neil Diamond. 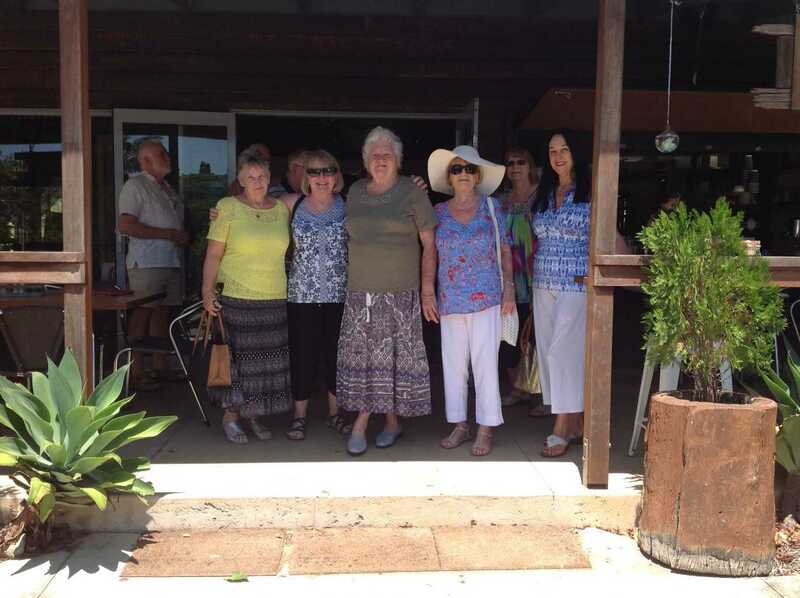 The next outing planned on March 13 is for a scenic drive to Kenilworth and a visit to the milk factory for cheese tasting, and the group meet again at the Surf Club on the first Tuesday morning of the month.